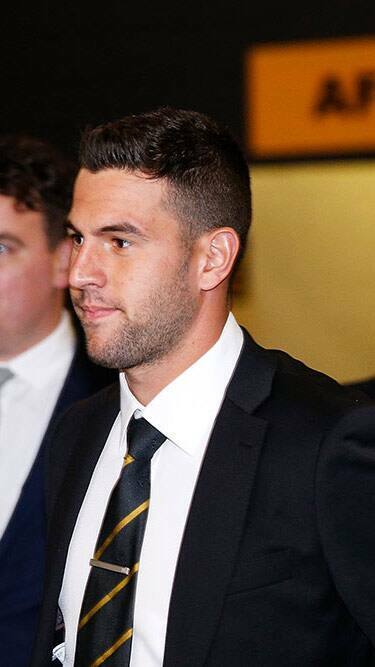 JACK Graham will miss Richmond's Anzac Day Eve clash with Melbourne after unsuccessfully challenging a one-match striking ban at the AFL Tribunal on Tuesday night. Graham is also now ineligible for the 2018 NAB AFL Rising Star award, having been equal sixth favourite with Crownbet at $17 on Monday afternoon. The premiership Tiger was charged with striking Brisbane's Dayne Zorko during the third quarter of Richmond's victory at the MCG on Saturday. Graham went to bump Zorko but hit him high with his right arm just after the Lion had launched a clearing kick, with Match Review Officer Michael Christian assessing his conduct to be intentional with low impact to the head. Graham's legal representative, Sam Tovey, argued his client's action was careless rather than intentional. But Tribunal jury members Wayne Henwood, Jason Johnson and Richard Loveridge deliberate for just six minutes before upholding Graham's suspension. After the hearing, Graham said he was disappointed with the decision but suggested it was unlikely he would appeal. "We just accept the decision and we move on," Graham said. Graham testified he intended to put pressure on Zorko in the hope of forcing his kick out of bounds, and had raised his arms with the intention of hitting him in the upper arm and knocking him off balance. The midfielder said he had initially made contact with Zorko's upper arm, but his forearm had subsequently slipped up and hit the Lion high, with the wet conditions at the MCG a contributing factor in this. Richmond coach Damien Hardwick gave evidence on behalf of Graham, saying the midfielder was "elite" in his ability to pressure the opposition and close down their space. Asked about the Zorko collision, Hardwick said in those circumstances he had expected Graham to put physical pressure on Zorko in a fair manner. Graham said his role in the Tigers' midfield was principally to apply pressure and his ability to do so was the main reason he gets a game – he ranks No.1 at Richmond and No.3 in the competition for pressure acts. However, the AFL's legal representative, Jeff Gleeson, argued Graham had made contact with Zorko some time after his kick, arguing it had been impossible for the Tiger to force an error in the circumstances. Gleeson said both Graham's initial and subsequent points of contact with Graham were consistent with a strike.